Welcome to DoubleTree by Hilton Hotel Phoenix Tempe, a contemporary hotel in the heart of Tempe with unique, Frank Lloyd Wright-inspired architecture. Savor southwestern-inspired dishes at Milagro's Restaurant, or meet with friends to sip cocktails in the cozy Kachina Lounge. 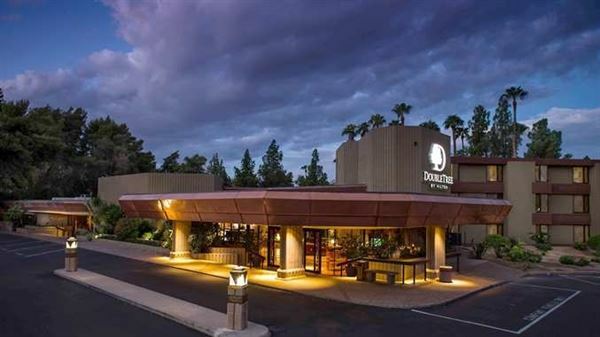 Host a business or social event at this hotel in Phoenix, Arizona in 30,000 sq. ft. of meeting space, including three ballrooms, all with the latest A/V equipment.